Ecocell is an eco-friendly home insulation product made from 100% recycled newspapers, which compares favourably with all imported alternatives. 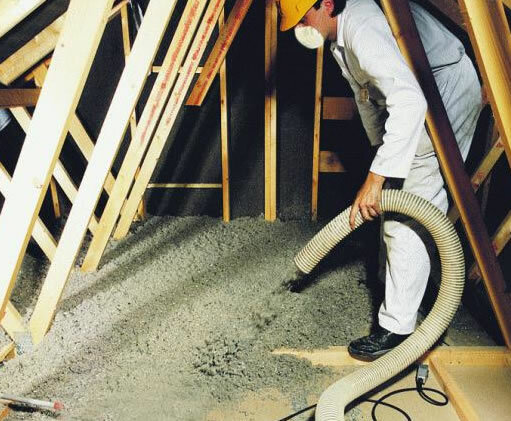 Our cellulose is suitable for the insulation of residential and commercial timber-framed homes, attics and lofts; not just for new homes, but also for retrofitting older buildings. Ecocell is made from natural fibres derived from recycled newspapers, putting good use paper that would otherwise go to land-fill sites. Studies show that buildings insulated with cellulose show a 30% to 40% reduction in energy demand when compared to those insulated with man made mineral fibres. The borate-based fire retardants in cellulose are non-toxic and provide a high level of fire resistance, meeting all fire protection standards including British Standard 5803-4. It provides an effective fire stop. It is resistant to all biological attack: insects and fungal attack, including dry rot. Ecocell is unattractive to vermin as well as being harmless to other common building components, such as copper pipes, electrical cable and metal nail plate fasteners. Ecocel provides a sustainable solution to energy efficiency without increased costs. Cellulose has a very low embodied energy - the energy used in manufacturing the product. This is in contrast to man-made, mineral fibre insulations, which consume huge amounts of energy. Ecocell is non-toxic, non-irritant and presents no health hazard whatsoever. It can be disposed of safely without creating toxic waste or biodegradeability problems. A U-Value is a means of measuring heat loss. A lower value means less loss. A timber framed wall with 150mm of dense packed cellulose can achieve a U-Value of 0.23 or lower. In other words, it can absorb and release moisture, allowing the building to 'breathe', thus promoting a healthy living environment.